My short list of favorite restaurants is a moving target. Sunday we found a new contender, Brimmer & Heeltap, in Seattle. Yes that is the real name, not sure the history but do plan to find out as there is another visit already on the radar. Small, intimate, rustic, and fresco dining, everything it takes for a perfect environment. Jen, the owner and founder got it right. Her bio says she knows the industry, but her real talent is that she is the perfect hostess, we felt like family, no more than that, we knew we were welcome and valued. One of the tests of a stellar resturantuar is the ability to extend your passion through your staff, our server Lauren, matched Jen’s sense of hospitality. She is an artist, and took time to show us some of her work, which I find amazing, as well as she took an interest in my sketches. In the end of course it is about the food, and we were impressed. 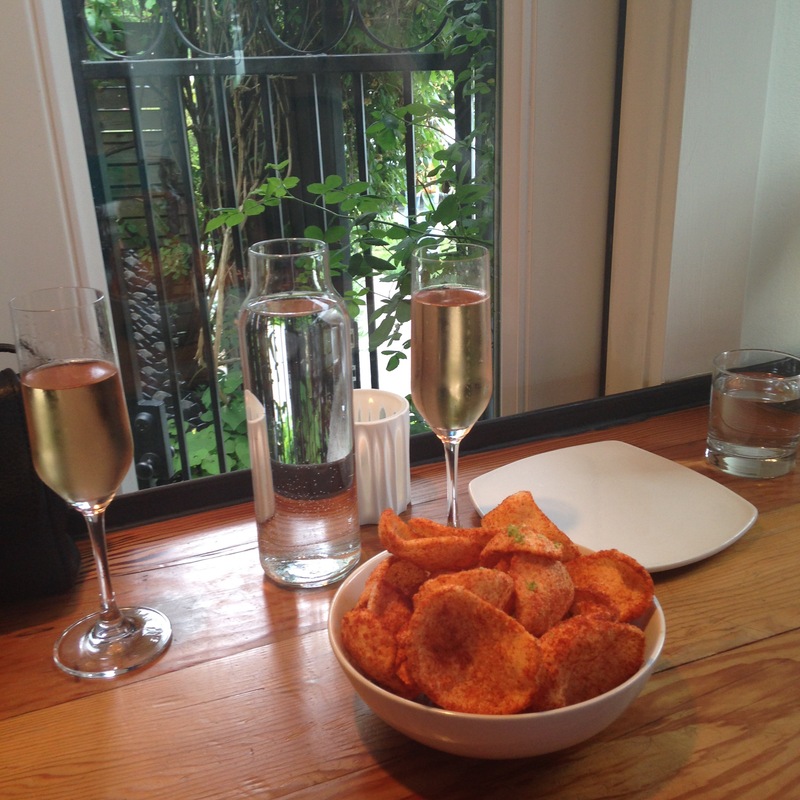 Of course started with bubbles, and to go with them we had Tapioca Puff Chips, with chili-lime sauce. They could sell these by the bag and I would give up potato chips for a long time. Light, a bit picante, with the promised lime – my kind of snack. Tricia ordered the scallops, not a big surprise. They came with a Poblano Aioli, but not just a glob of mayonnaise – the aioli was applied with air injected, making it light and airy, amazing. 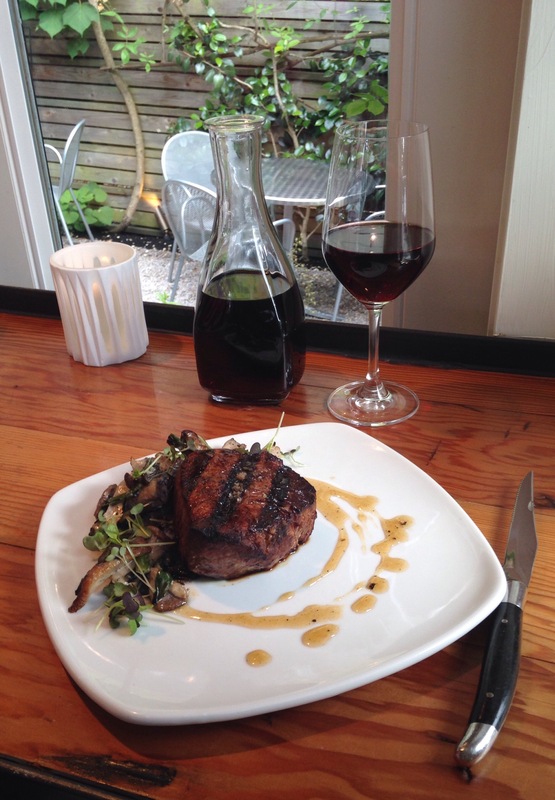 My steak, well I don’t remember one that I have enjoyed more, it appeared to be a fillet mignon, cooked perfect, with sautéed oyster mushrooms and micro greens on the side. Thank you Lauren and Jen, we will be back, soon, Saturday I think.